Reading progress update: I've read 46 out of 543 pages. gosh, Wodehouse ruined all other humorists for me. loved revisiting ‘Ukridge’s Accident Syndicate’, laughed out loud several times, at the coffee shop. my next short story will be the last one in Blood on the Tracks, which will be replaced by The Long Arm of the Law (another British Library Crime Classics title, probably featuring some of the same authors). Reading progress update: I've read 30 out of 543 pages. 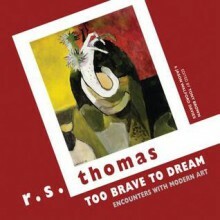 I didn’t comment on the last few morsels I munched from this collection, because I didn’t find them funny. but I just did the Damon Runyon entry, and I had a fun time with that - my first experience with Runyon, as best as I can recall. next will be what I consider the best of the Ukridge stories from P. G. Wodehouse, so I’m anxious to re-read. oh those golden days when I had fifty unread Wodehouse books left to devour...but this re-read will take me back, a little. 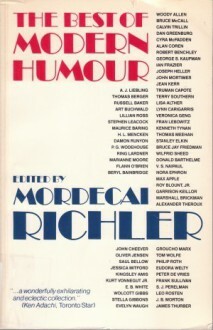 Ring Lardner, after Wodehouse, and, like Runyon, that will be uncharted territory, hopefully with rewards. Reading progress update: I've read 50 out of 96 pages. The Dressmakers, William Roberts: held by the Victoria Art Gallery in Bath! Sleater-Kinney was a band formed during the mid to late Riot-Grrl era, but Brownstein gives an education on what was the grunge/Riot-Grrl era about and how it formed, plus her own childhood growing up and her love of music and of the women who brought the Seattle sound mainstream and yet stayed punk. I loved learning about the culture as she was learning about it. 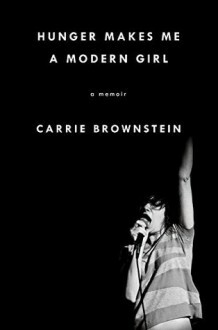 Brownstein did not seem to struggle much with her sexuality, just quietly acknowledging to herself that she was a lesbian and dated like a typical musician (ie, she dated a fellow S-K member and when it broke up it almost destroyed the band). She also showed real sense of growing up and growing older by the end of the book, yet still retaining a sense of Riot-Grrl self and focusing it on different artistic avenues (such as re-uniting with S-K and writing/acting on the tv show Portlandia). When eating out, the first aspect when a customer looks for is the ambience. And, restaurant tables play a major role in the overall aesthetics of your restaurant. No matter how edible, tasty and hygienic food you have to offer your guest if you don’t have perfect sitting arrangements or ambience, you won’t be able to attract your customers. And, every restaurant and cafe, required a different kind of set up when we see the furniture part. Furniture is an investment and therefore buying a restaurant table crafted from solid wood is the best decision you can have for your restaurant. Dining tables crafted from solid wood can handle everyday tear and bear. 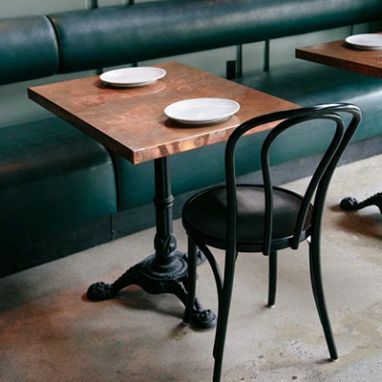 And we have rounded up three different restaurant tables for you. 1. Balor Restaurant Table:- This is the best call for the hotel owners who want to make their restaurant ambience looks airy and open. As the design of this table mindful and will not make the restaurant looks busy and tight. This restaurant table is spacious and rectangular that makes it easily possible to accommodate six to seven people. And this is what the aim of a successful restaurant to offer plenty of seats to accommodate their customers. 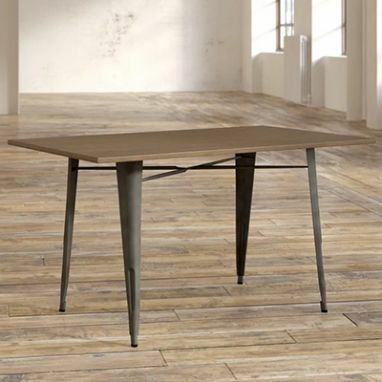 Balor Restaurant table is perfect for you if you have a restaurant that offers fine dining. 2. Calamo Restaurant Table:- With the solid wood tabletop and metal legs this restaurant table can be the perfect pick for any restaurant. 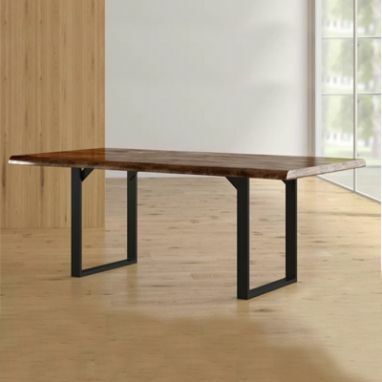 Plus, the best part with this dining table is, its easily movable so that when a large group of people arrives, you can join the two tables and can make it one for the guests. 3. Bethany Restaurant Table:- You can opt for this restaurant table if you own a cafe. As investing in this table will assure you with the design that can complement your decor and durability which is the major focus or any restaurant or cafe owner. Now, this is a very quirky and playful design of a restaurant table you can have in your cafe. It features a tabletop crafted in solid wood and the spider carved metal legs which are making this restaurant table eye catchy. 1. One of the most important things to have a successful restaurant is to have perfect circulation and movement. You don’t want your waiters to bump each other while serving food and also you don’t want your guest to crammed together. 2. A proper lighting scheme plays a major role in the aesthetics of your restaurant. As they can make your restaurant from drab to fab. And if we see the other side, then it’s important to have clear visibility to move safely. You can visit WoodenStreet to have that perfect hanging lights for your restaurant. 3. Generally, restaurants and cafes are very noisy, and sometimes it can be a little off-putting factor for some customers. With some music playing and people are talking and it will end up creating a soothing environment to make your guest enjoy. So these were restaurant tables by WoodenStreet. When it comes to buying tables and chairs for the restaurant, quality should top the list and WoodenStreet has restaurant tables and chairs which are crafted in solid wood to assure the durability and sturdiness. Lend up yourself at WoodenStreet and feel the richness and warmth of solid wood furniture.